If you don’t have this air filter on your SHO/ SVHO you could be going faster. Incorporating a state of the art elliptic curve this is the highest performance air intake solution ever created for your supercharged watercraft. Custom engineered for a precise fit and only available at MACSBOOST.com. Designed to fit all years and models SHO or SVHO equipped Yamaha Waverunner personal watercraft. So, you like the way the McPi case looks but are afraid to ask how she performs? Is this box too hot for you? We realize the importance of a first impression and that beauty is more than skin deep. Hot boxes can be intimidating so we opened the hood and did the dirty work for you. Here is the telemetry. Can you believe the size of that heat sink? We have been assured it’s for real. No hollowed out die cast junk here. First we enabled overclocking and set the pi to a max of 1.55ghz. We told you the stig may not be able to handle it. That’s ok we at MACSBOOST are trained professionals. Too lazy to pick up a keyboard yet we enabled the retropie overclock feature from our joystick. Once the stress test was installed we ran them hard. Our results were a peak of 45.1C after 900 seconds. Not bad! But wait, can you hear it? Nope, we can’t hear it either. There is no fan on this case and we love the silence. After a successful run, we ran the dreaded cpuburn-a53 test. No worries here, After 20 minutes we were only at 66.6C and still no throttling. This must must be work of the ice devil… We digress. Stabilized McPi case temperature of 66.6C while running the cpuburna-53 test. Wow, the performance is phenomenal! No throttling after running the most extreme processor test at full load. No fan needed. Excellent! Passive cooling FTW. 1: Physics my boy. Heat transfer is largely a function of cross sectional area. More real area = lower thermal resistance to extract the angry watts trying to escape. Thus, our heat sink feature is solid 6061 chunk of billet fury, not a die cast hollow illusion of a heatsink. Plus using our extra gravity technology we gain a significant amount of thermal inertia. 2: Virtually all crappy pi cases use thermal pads. In kindergarten we learned pads are for sissies. How quickly we forget. While thermal pads are better than air, they are no where near the performance of a properly machined surface. Think for yourself. If pads were better cpu fans would use them. The McPi Case is precision machined so the processor and Ethernet chip are directly and precisely matched with no pads. Perhaps we should have painted the case in British racing green? After all, this thing hauls the email. Fortunately we didn’t satisfy that urge and left the McPi case in its natural state. We can always keep our Pi’s British racing green PCB heritage faraday caged and out of sight. Bare aluminum with the naked carbon looks sooo much better. Don’t be ridiculous, Wifi performance is still great. We use Wii U pro bluetooth controllers for retropie and have a great wifi signal back to our network at the official MB HQ. #piday is just around the corner and there is no better way to enjoy a slice! Order now and see what high quality is all about! The McPi Ultra Premium Rapsbery Pi case on Faux wood desk with P-touch labeled SD card. Do you have more Questions? Stay tuned, we have answers. Will it blend??? We can almost taste the Raspberry Pi! Is it McPi day yet? 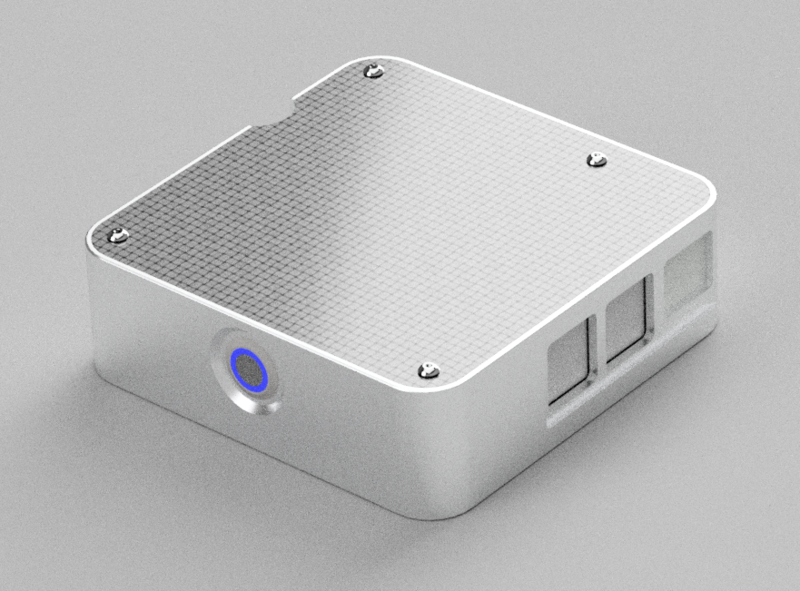 Our “McPi” Raspberry Pi cases have been precision machined and anodized. No, this picture is not a rendering. Check out that sweet heatsink! We also have our awesome waterproof blue ring LED switches. We went the extra mile and used a high quality bespoke push on connector. This case takes the Pi to a new level of competition. Pre-order today the highest quality pi case you can buy! Once you purchase your case, you will want to know how to configure the power switch. It only takes 2 lines of code. I have an R-12X Honda Aquatrax, what mods should I do? If you are on a budget. 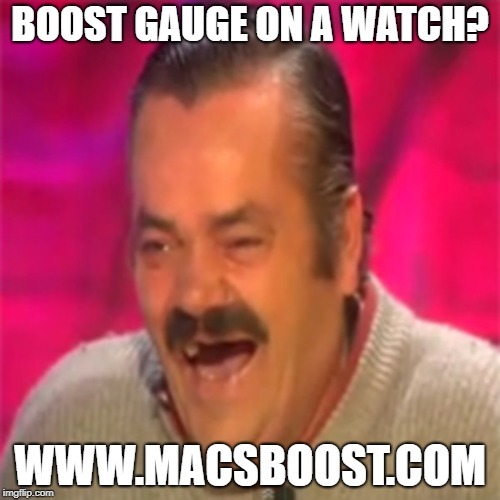 We recommend to start with the infamous MACSBOOST module. This by far is the most cost effective modification for your Honda Aquatrax R-12X Turbocharged PWC. In an instant you will see higher speeds and much greater acceleration. Boost is increased and lag is electronically reduced. Jumping waves is far more fun as peak boost recovers much faster than stock. check out this customer video. Boost Gauge on an Apple or Android watch? Seriously Awesome, The MACSBOOST module is able to send boost in real time to your mobile device over Bluetooth le. It is compatible with most applications that support heart rate monitor sensors. Full Android watches, Apple iwatch, mobile devices, etc can all read boost pressure wirelessly. It is also compatible with our Android Application found on google play. It is also compatible with map my ride and you can log your boost pressure and location. As new heart rate apps are released, they should work with our module as it emulates the standard sensor. Put your Boost gauge where you want it. On your wrist!